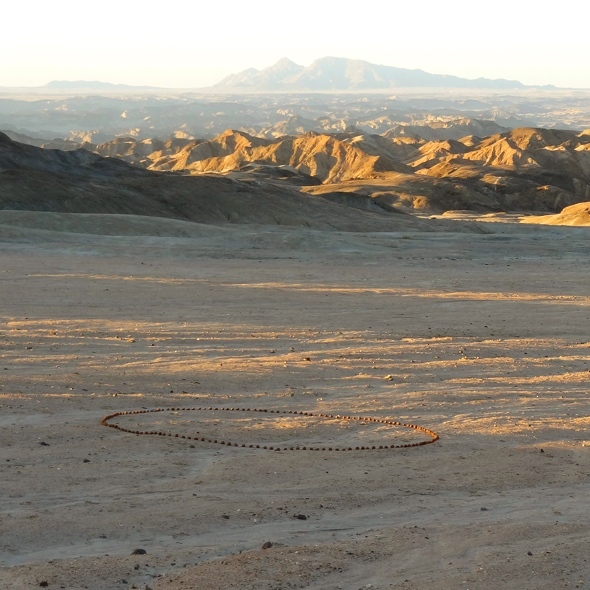 The circle is an ancient symbol of protection, but is also being used to focus the awareness onto a specific point or issue, used in this case to raise awareness of the planed marine phosphate mining on the Namibian coast (a first in the world). Marine biologists warn against the possible disastrous impact this could have, as it has not been sufficiently studied yet. Phosphate is used mainly to produce fertilizers, but is also used to produce uranium as it is highly radioactive. Besides the damages of the mining, the processing produces huge amounts of radioactive waste products which need to be stored in the desert.